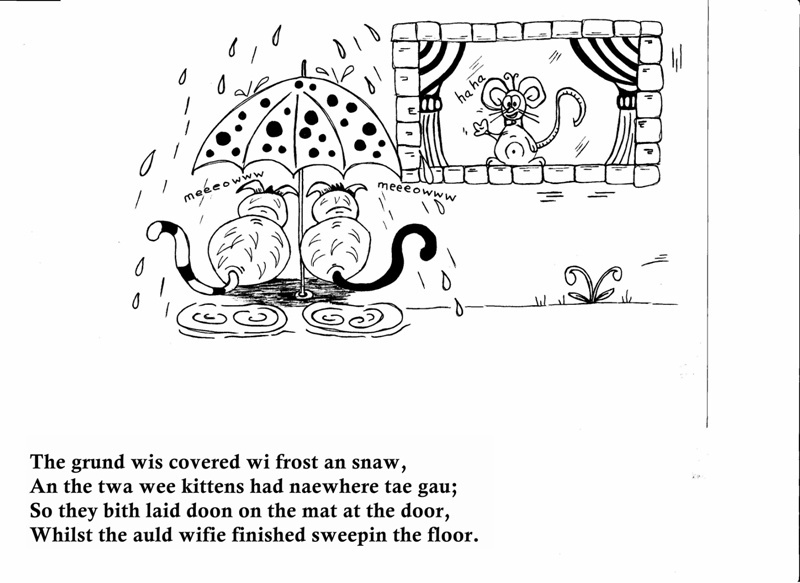 This poem is a part of a current project I am working on, to re-tell old poems and stories and translate them into Scots-Doric. Ma Ain Language – Oor Mither Tongue. 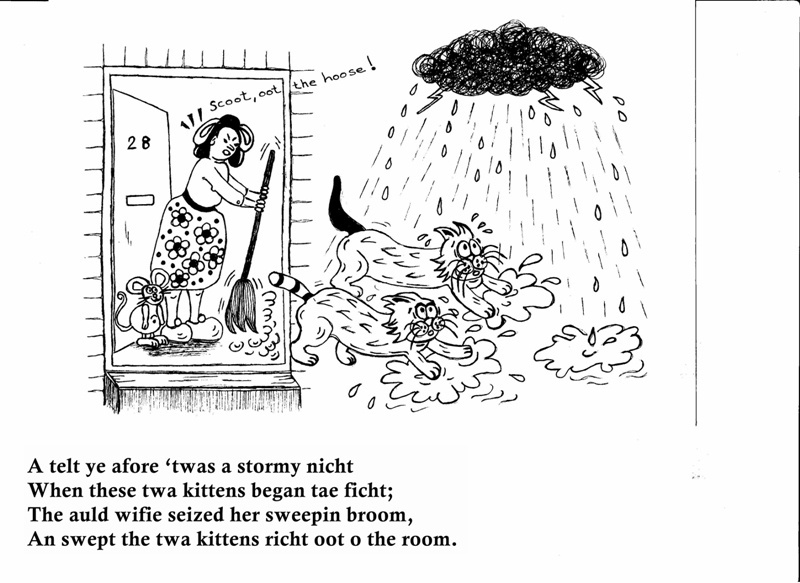 “The Quarrelsome Kittens” – Illustrated by Charles Robinson. London: Blackie and Son, Ltd., 1920. “I’ll have that mouse,” said the biggest cat. “I will have that mouse,” said the eldest son. “You shan’t have the mouse,” said the little one. Wan had a moose an the ither had none. 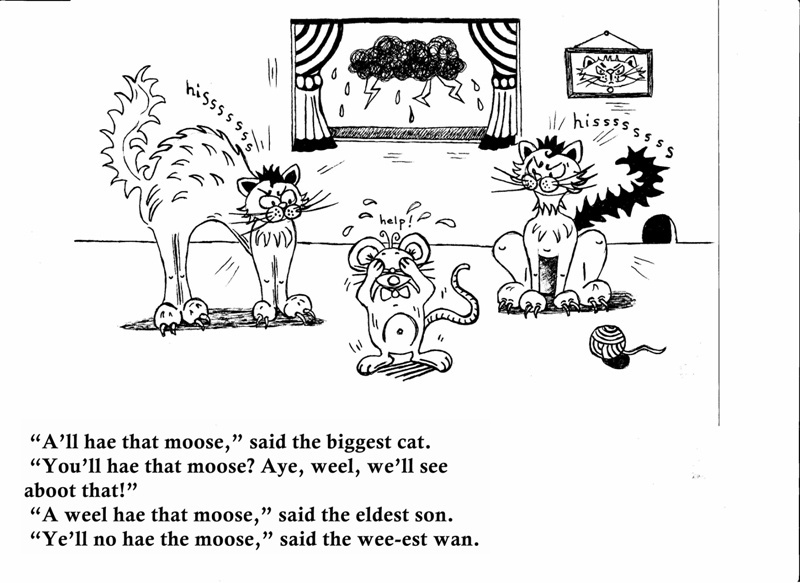 “A’ll hae that moose,” said the biggest cat. “A weel hae that moose,” said the eldest son. “Ye’ll no hae the moose,” said the wee-est wan. 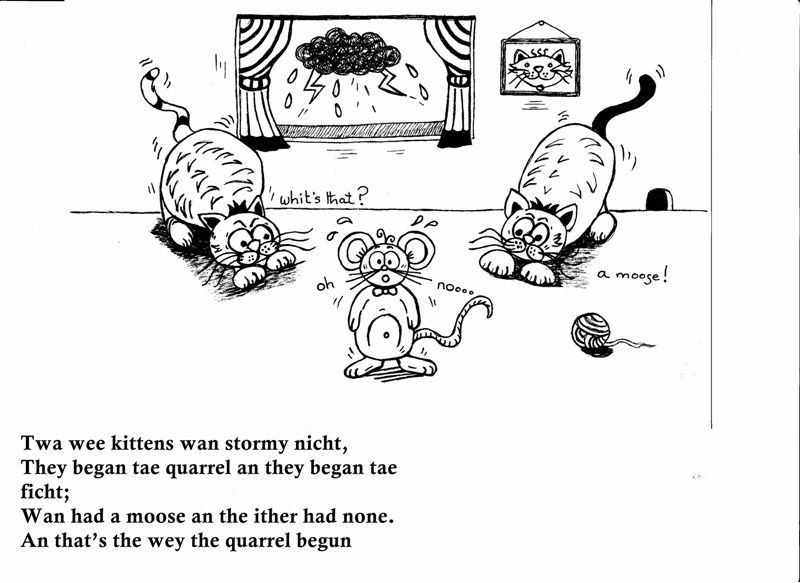 An swept the twa kittens richt oot o the room. Whilst the auld wifie finished sweepin the floor. 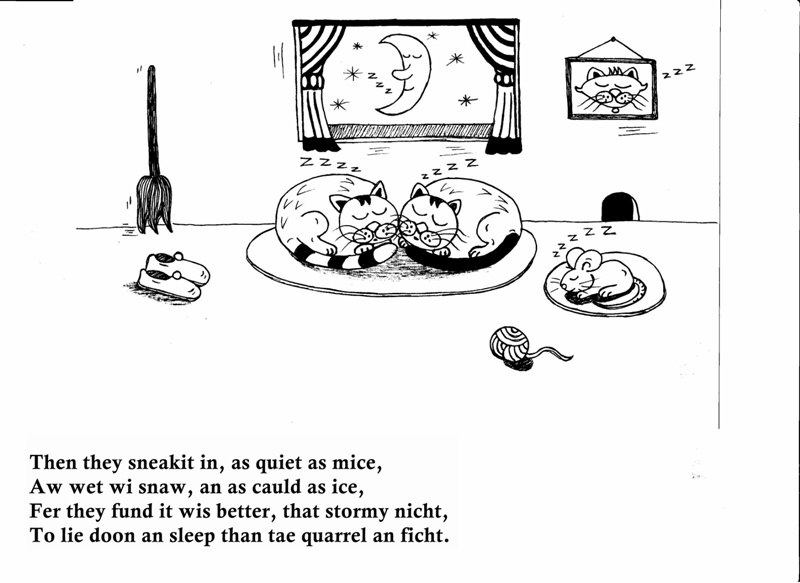 To lie doon an sleep than tae quarrel an ficht.